As we draw closer to the premiere of the MCU blockbuster "Black Panther", I would like to dive into the history of the most significant black superhero in history, the Black Panther himself. I would also like to share my thoughts about what Black Panther means to me as a black comic book fan. 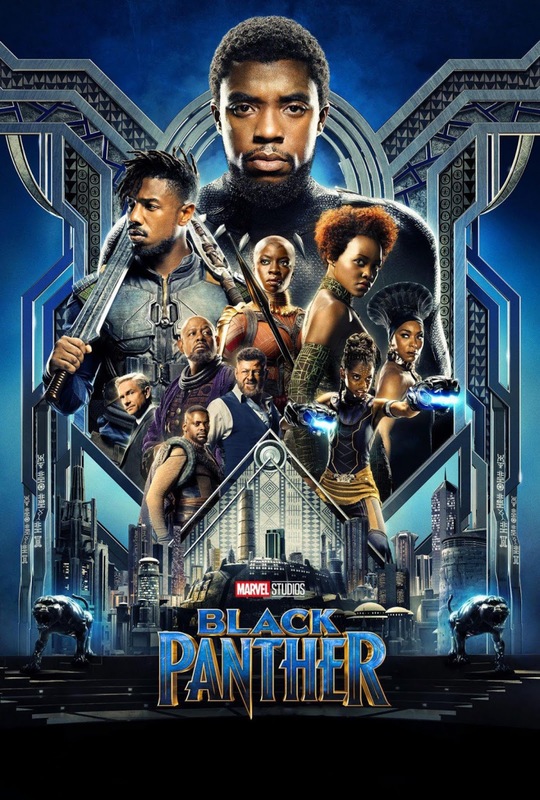 This movie has already broken records for most presale tickets sold for any superhero movie ever, and that INCLUDES "Captain America: Civil War", where Chadwick Boseman made his debut as the King of Wakanda. However, Black Panther's roots go deeper than his appearance in Civil War and far beyond just this solitary standalone film. Let's take a look back at the origins and history of Black Panther. 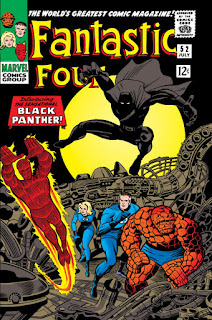 Created by writer Stan Lee and artist Jack Kirby, the Black Panther made his debut in Issue #52 of the Fantastic Four in July-August 1966 along with Fantastic Four Annual #5 in 1967. 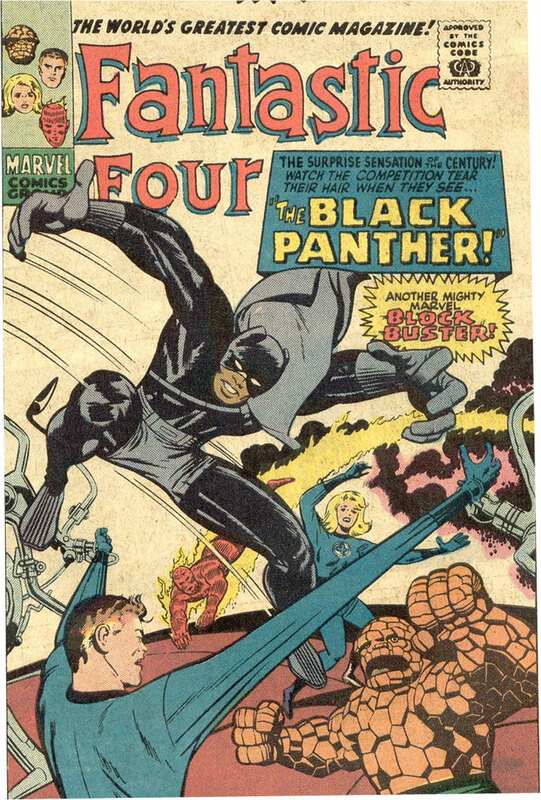 T'Challa took fans by storm as he defeated the Fantastic Four by himself, and in very convincing fashion. Although the character predates the actual Black Panther Party (Founded in October 1966), it came at a very crucial time in history. 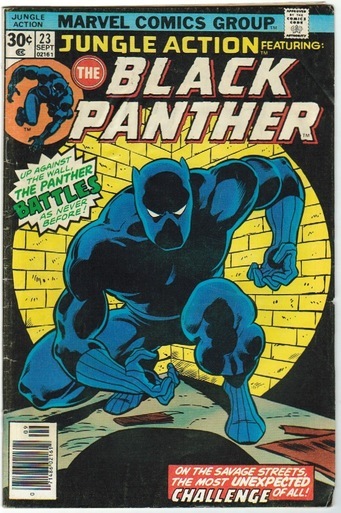 The character also shares the same name as the World War II Black Panthers Tank Battalion. 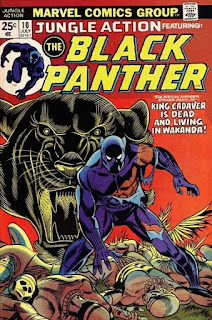 Stan Lee and Jack Kirby wanted to present their African American fanbase with a hero that they can see themselves in and live through that character. Hence, the Black Panther was created. He is the first Black superhero in american mainstream comic books. Before him, virtually no black heroes were created, especially none with actual superpowers. Following his debut in the Fantastic Four features, Black Panther would appear with Captain America in Tales of Suspense #97 (January-March 1968). 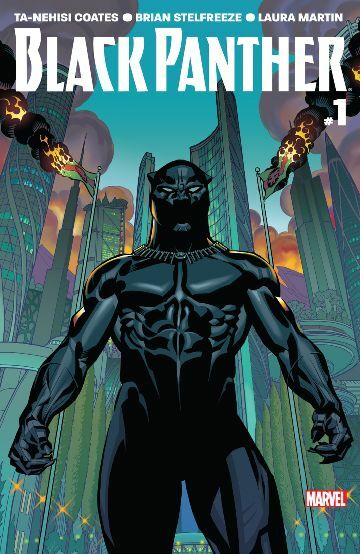 T'Challa comes from the fictional African country of Wakanda, the most technologically advanced country in the world. He is the leader of that country and owns the largest supply of Vibranium, the same metal that Captain America's shield is made out of. Vibranium in Wakanda is the equivalent of diamonds, oil, minerals, etc in the real african countries. We all know how history turned out in that regard. With that being said, the story of Wakanda tells a strong message about how important it is for Africans and African Americans who have to defend their property from outsiders who look to pillage their land and steal their most prized possessions. 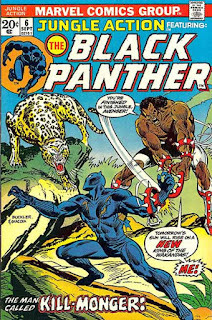 Black Panther would receive his first official starring feature in Jungle Action #5 (July 1973), a reprint of the central Black Panther Story in Avengers #62 (March 1969). 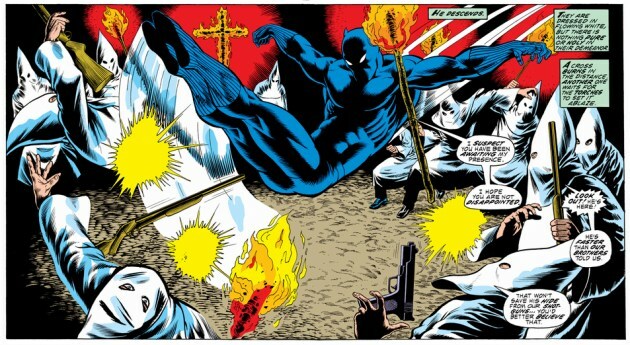 Black Panther has also defeated the KKK in one of his most legendary Issues (Jungle Action Vol. 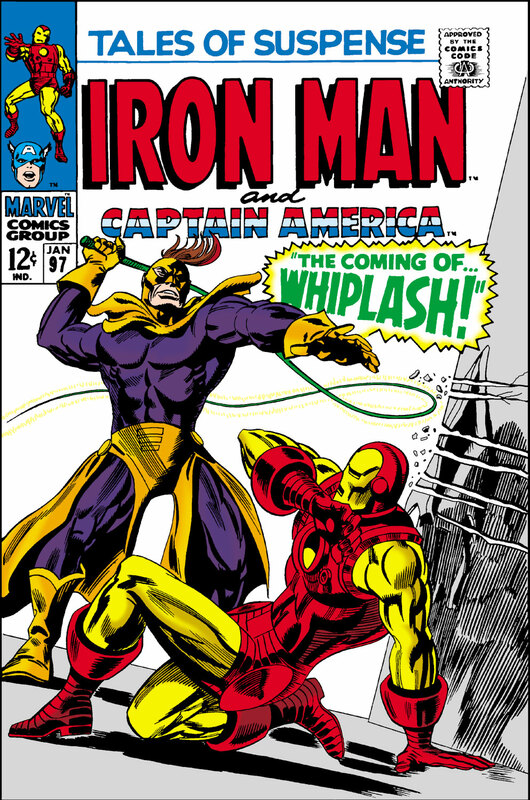 2, #21, May 1976), something that I'm sure many fans today could appreciate. 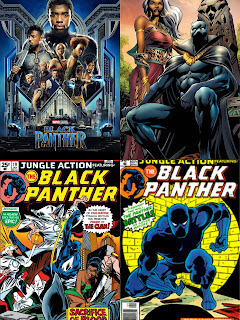 The Black Panther is a mantle passed from generation to generation. It is the ceremonial title given to the King of the Panther Tribe of Wakanda. 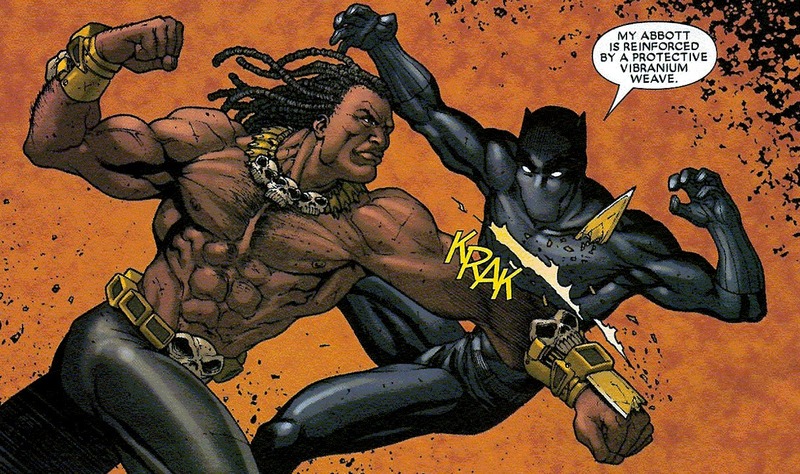 In addition to ruling the country, T'Challa rules various other tribes within Wakanda. In the distant past, a meteorite made of the vibration-absorbing mineral known as Vibranium crashed in Wakanda and was unearthed. 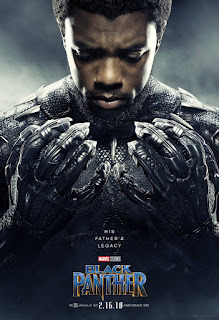 Knowing that outsiders could invade their country and steal this valuable resource, King T'Chaka, like his father before him, concealed his country from the outside world. T'Challa would also follow suit to make sure that Wakanda does not suffer from colonization. Marvel has a very strategic way of sending a message to us regarding history. 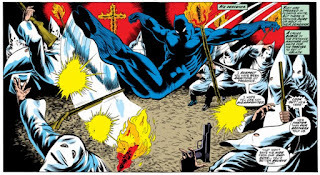 Even though T'Challa is next in line to carry the Black Panther mantle based on his bloodline, he still had to earn his stripes through the Wakandan Rites of Passage. He would eventually succeed in this process to become the new King of Wakanda. 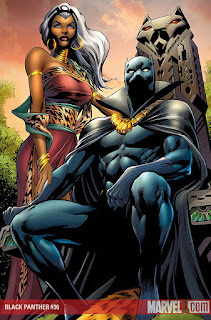 Along the way, T'Challa met a young woman named Ororo Monroe, later known as X-Men mutant Storm. 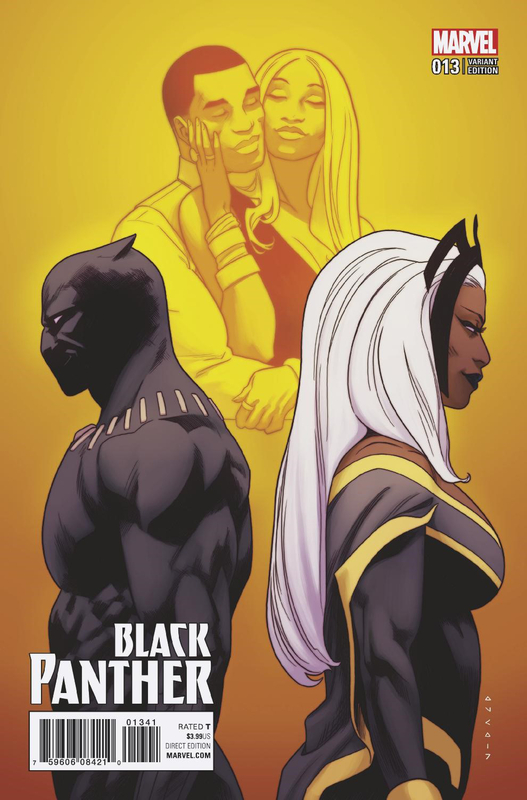 The two would fall in love, but would soon break up because of T'Challa's desire to avenge his father's death and wanting to become the man who could suitably lead a nation like Wakanda. They would eventually see each other again in the future. 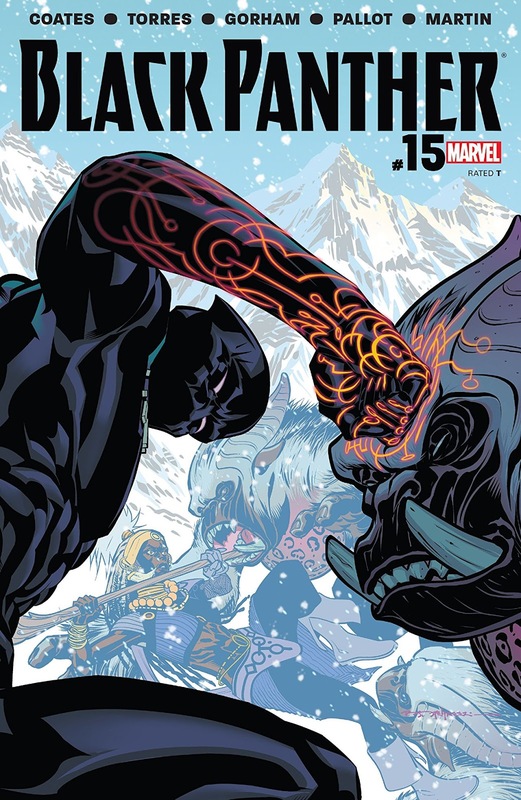 T'Challa earned the title and attributes of the Black Panther by defeating the many different champions of Wakanda. 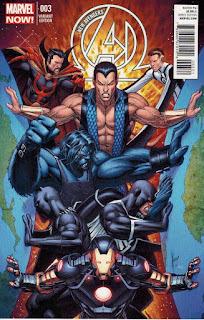 Black Panther's archrival is Erik Killmonger, along with other adversaries from Ulysses Klaw, Man-Ape, etc. 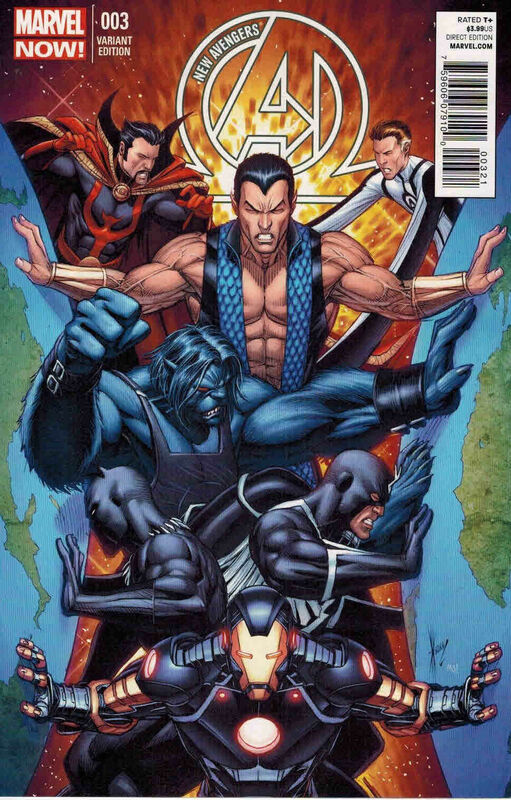 Killmonger is to Black Panther what Sabretooth is to Wolverine, what Loki is to Thor, Venom to Spider-Man, etc. You could even say that Killmonger is the Joker to T'Challa's Batman. 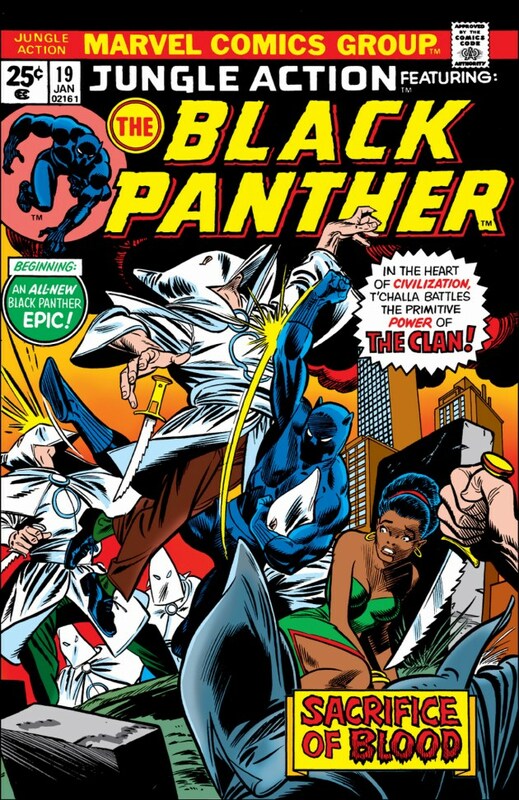 Along with being the King of the Nation of Wakanda, Black Panther also splits time as a member of The Avengers. 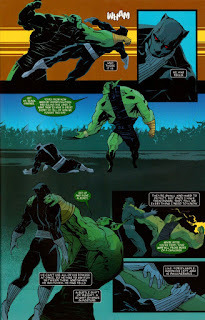 He has helped them defeat the Sons of the Serpent as well as the Skrulls in "Secret Invasion" among other adventures. T'Challa played a pivotal role in "Captain America: Civil War" during the Sokovia Accords in his quest to avenge his father's murder at the UN Building as King T'Chaka was going to sign the Sokovia Accords Agreement. 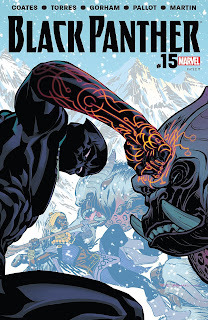 T'Challa would eventually leave his Active Avengers Membership to return to Wakanda on the brink of Civil War. He would also accept the aide of Agent Everett K. Ross as he faces multiple threats to the sovereignty of Wakanda. 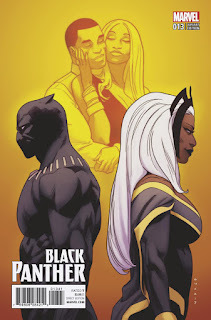 After helping his old flame Ororo Monroe (Storm) reunite with her family, T'Challa later proposes. The two married in a large Wakandan ceremony attended by many superheroes, including Captain America and Ironman. Together, they would fight alongside Captain America's anti-registration forces. During the end battle, the Wakandan embassy in Manhattan is heavily destroyed, but no Wakandans are hurt. After the battle, Panther and Storm briefly fill in for vacationing Fantastic Four members Reed and Sue Richards before returning to Wakanda. 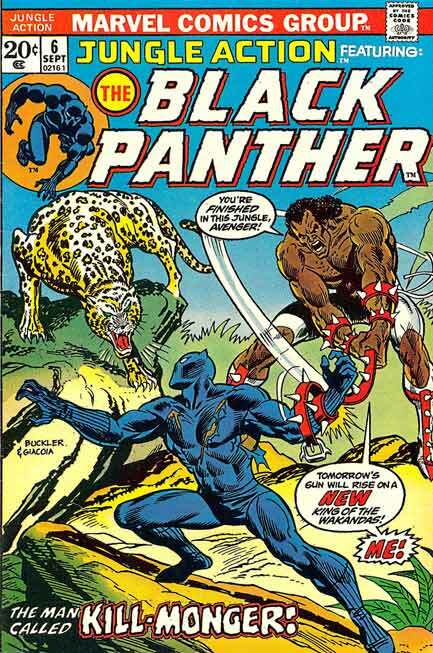 During the "Secret Wars", Black Panther teams with Mr. Fantastic, Starlord, Spider-Man, Thor (Jane Foster), Captain Marvel, and a Phoenix enhanced Cyclops to fight off Dr. Doom. Dr. 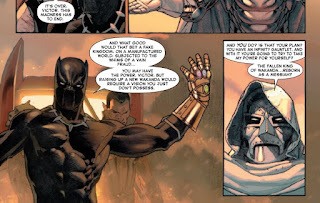 Strange retrieves an Infinity Gauntlet to help T'Challa fight off Dr. Doom. 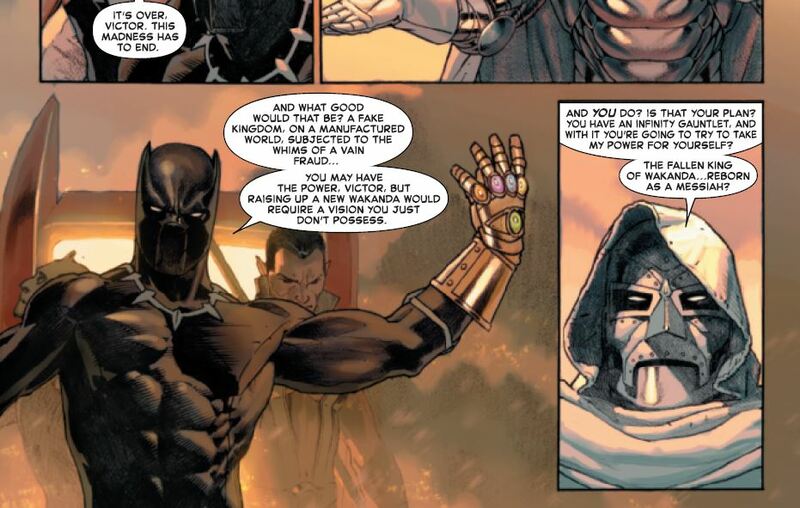 Strange ensures T'Challa that the Gauntlet would work in the location where Doom built his main fortress. The Gauntlet works, as Black Panther uses the time gem to go back to Wakanda to tell and lead his people. Black Panther has enhanced strength, agility, speed, stamina, healing, reflexes, athleticism and superhuman senses thanks to a special heart-shaped herb from Wakanda. He is also a skilled scientist, inventor, hunter, strategist, tracker and politician with a Ph.D. in physics from Oxford University. T'Challa is also a master of multiple African Martial Arts and a Gymnast that trains rigorously. Black Panther is a brilliant inventor on par with the likes of Tony Stark and Reed Richards, and an excellent combat strategist on par with that of Captain America. 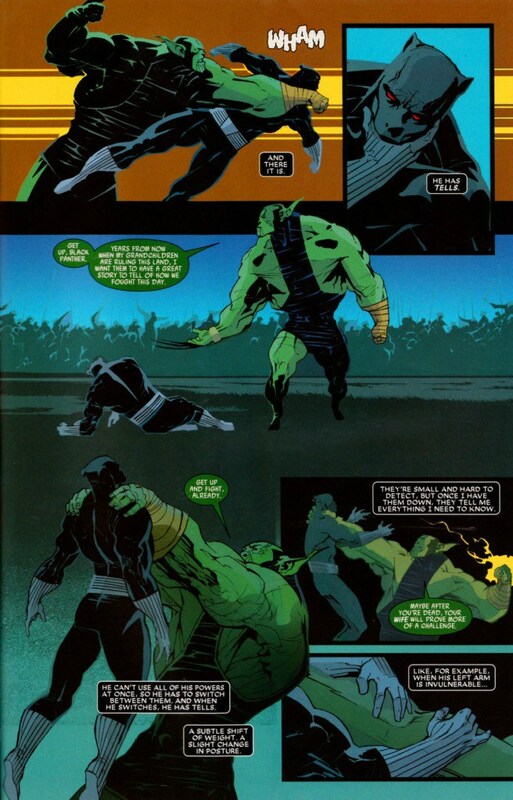 T'Challa holds victories over Ironman and Cap in 1-on-1 combat. 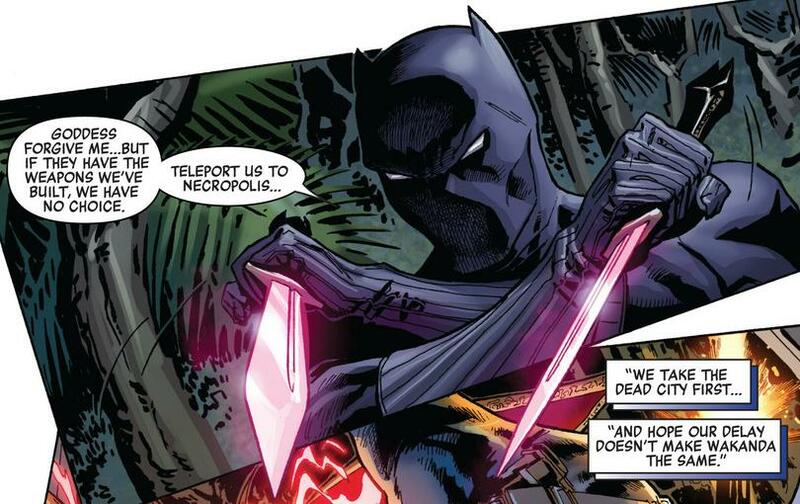 Black Panther also has access to various magical artifacts, along with advanced Wakandan military and technological hardware. His bodyguards are the Wakandan Warriors known as the Dora Milaje (The Adorned Ones). 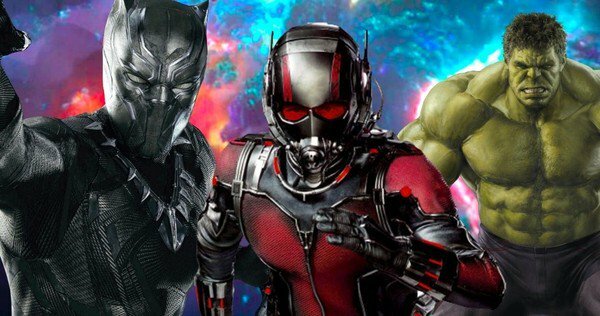 Black Panther will certainly be a powerful asset during the Infinity War against Thanos. 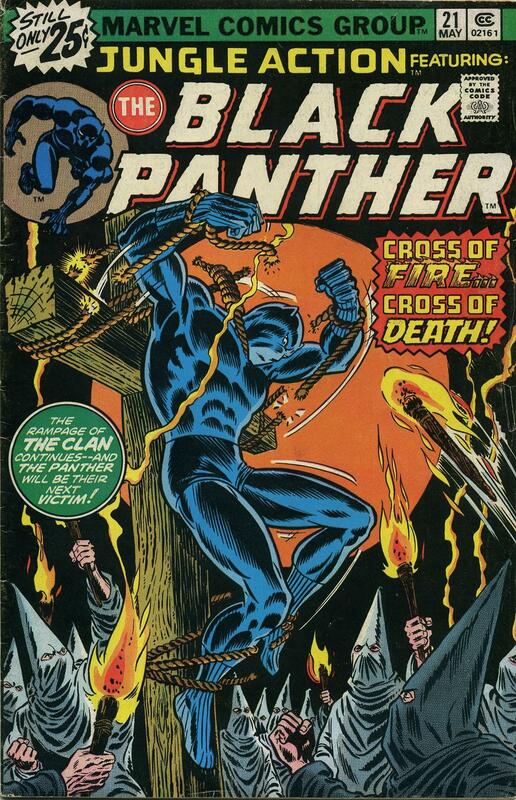 The legacy of the Black Panther is that of prestige and prominence. 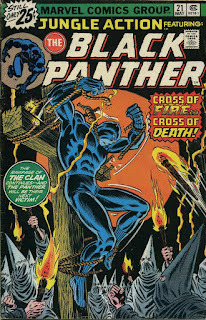 Black Panther is the benchmark that every other black superhero, past, present, and future is measured by. He is not the traditional black sidekick (War Machine, Falcon, Cyborg), nor the black alternative (John Stewart-Green Lantern, Miles Morales-Spiderman). With all due respect to those characters, they don't move the needle of the culture and comic world the way that Black Panther does. T'Challa is Africa's equivalent of Steve Rogers (Capt. America). Steve takes pride in his heritage as an American, while T'Challa takes pride in his Wakandan heritage. They are the primary national symbols of their respective countries. 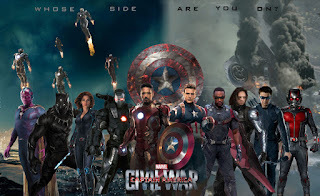 Cap has a Shield made of Vibranium, while Black Panther's entire suit is made of Vibranium. 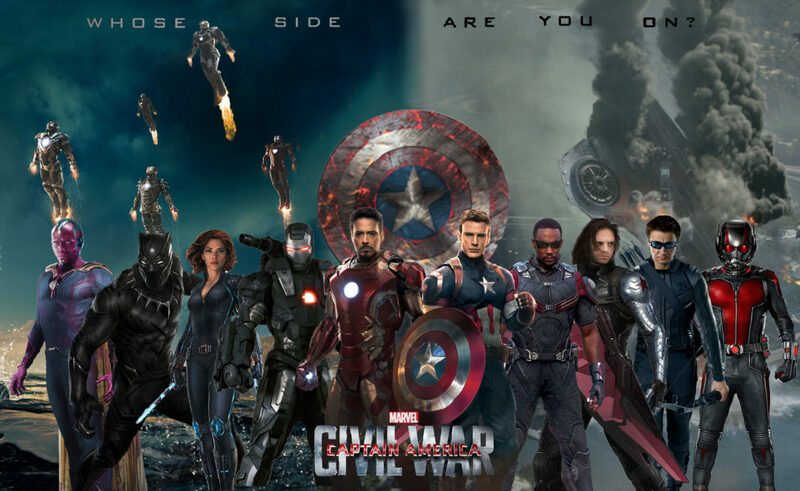 If it wasn't for Vibranium, Cap would not have his signature shield. That is a testament to Wakanda's influence on the outside world in the comics. It also mirrors the influence that black people have in general. Wakanda has had connections to the MCU ever since Ironman 2. As Nick Fury and Tony Stark have their conversation about the Avengers Initiative, there is a map in the background. If you look very carefully, you will see Wakanda. In Captain America: The First Avenger, Steve Rogers is fascinated by the Prototype Shield that Howard Stark had laying around. Howard tells him it is made out of Vibranium (I wonder where he got it from). In Avengers: Age of Ultron, Bruce Banner mispronounces Wakanda before finally making the correction. Finally, in Civil War, Black Panther makes his arrival. 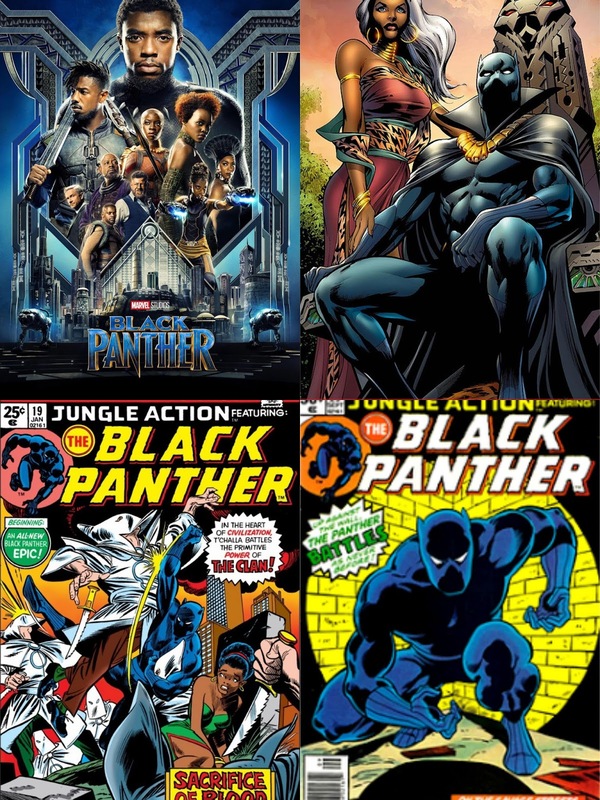 It was the culmination of things coming full circle for the history of Black Panther in the MCU before he makes his debut solo film. 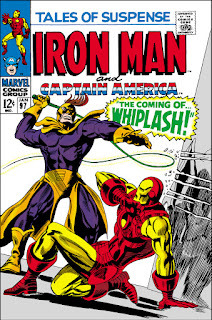 It was fascinating to see Cap go face to face with the man that owns the very metal that his shield is made out of. Wakanda went from being a blip on the radar in Ironman 2 to becoming a central location right before Infinity War. It went from being mentioned passively in previous Marvel films to becoming a place of prominence in the MCU. Here, we have a character that is not portrayed as a sidekick, a parody, or anything of that sort. 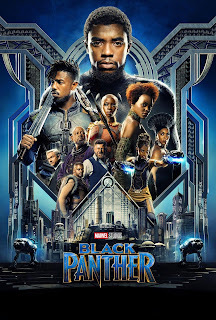 I look for nothing but the best from this movie and expect it to make a significant impact on the genre, in a different way than the previous films of the MCU. Will it be a movie that will change the world overnight? No, of course not, but it is great to see a film with black characters portrayed in the best light possible. While he is not the first black superhero onscreen (Meteor Man, Blank Man, Blade), he will make the biggest impact. Blank Man and Meteor Man were caricatures of black heroes and were not taken seriously at all (despite being fun). As nostalgic as those characters are within the black community, they were simply parodies, and we cannot afford to be seen that way any longer. Wesley Snipes originally wanted to play Black Panther before he became Blade. 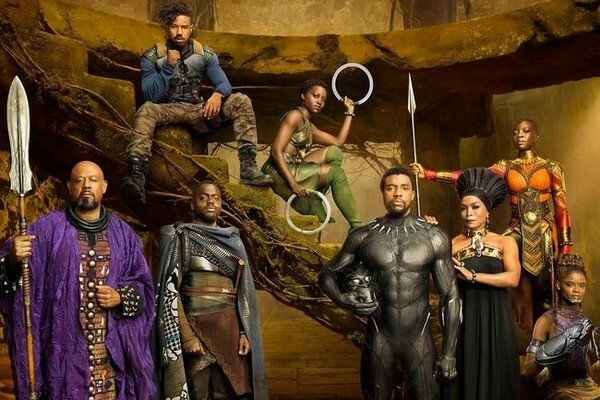 Black Panther is a hero that surpasses all before and after, and of course, the Best is yet to come. Long Live the King of Wakanda.